In what language do most of us speak at home? In our ‘mother tongue’. When it comes to the internet, why should we communicate in English only? Luckily you don’t have to. 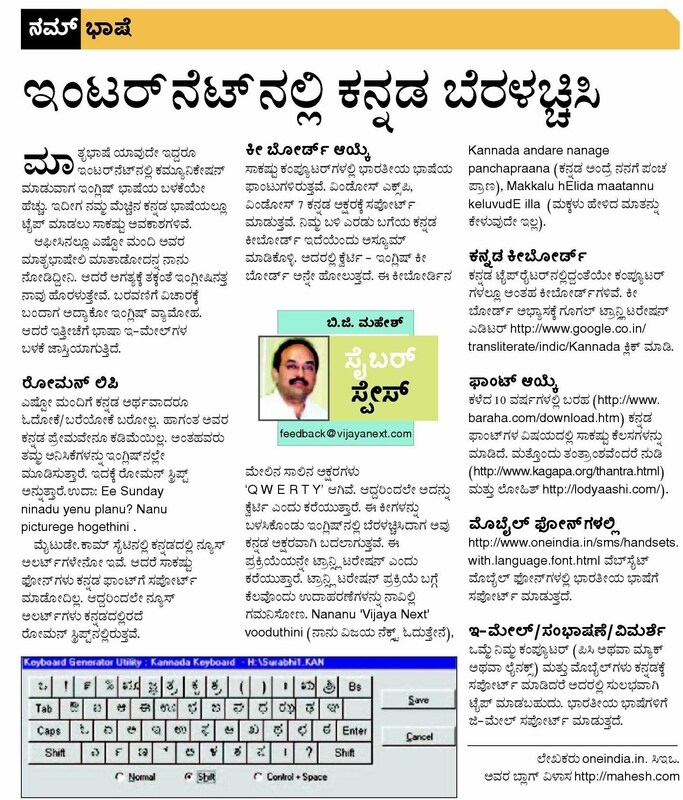 You can write in ‘namma Kannada’. There are many people who can understand Kannada but cannot read/write Kannada. But their love for Kannada doesn’t stop them for writing Kannada in English, this is known as “Roman script”. You can write “Ee Sunday ninadu yenu planu? Nanu picturege hogethini”. There are two basic options for keyboards – inscript & transliteration. Nowadays ‘Pada‘ software is very popular. To read and write in Kannada on mobile phones, your handset maker should have shipped Kannada font with the phone.